In this “Local Seafood Heroes” series, Fort Bragg Groundfish Association is highlighting local businesses and individuals who share our values and work hard to support local and sustainable seafood. 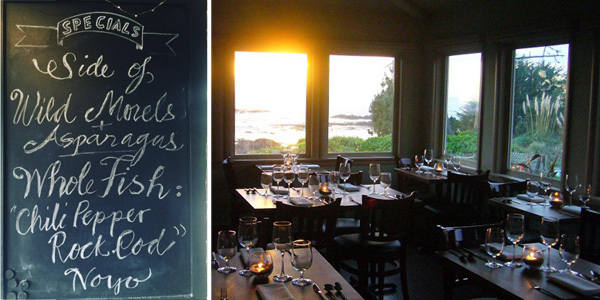 Overlooking the headlands in Little River, Wild Fish is a hub of delicious local food on the Mendocino Coast, started within this small seafood restaurant. Opened in 2011 by Liz and Kelvin Jacobs, Wild Fish has established itself as a dedicated supporter and passionate celebrator of the local flavors of the region. True to its name, the restaurant features seafood in all its dishes, always wild-caught from local fishermen. In addition, all its produce, spices, oils, and herbs are organic, and carefully sourced by their team, “working with only local purveyors and harvesting provisions from right outside their door.” These efforts create the unique flavor of this resolutely local cuisine. 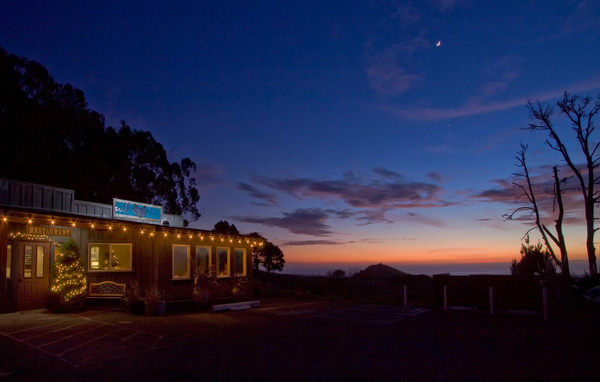 Hoping to settle on the Mendocino Coast, the couple discovered this small restaurant space available in Little River. 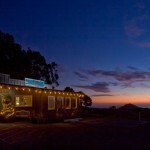 The location was on the ocean side of Highway 1, under the same roof as the local post office. It was meant to be theirs – and it was destined to be, according to the Jacobs, a seafood restaurant. The view of the Pacific Ocean from the dining room is magnificent. “We had really no intention of doing only fish until we saw that place,” Liz laughs today. Once Kelvin and Liz settled on their location, the most important work lay ahead: finding and navigating the local landscape of food purveyors, growers, and harvesters. With the Pacific Ocean at their doorstep, they had not expected that finding locally-caught fish would be a challenge. 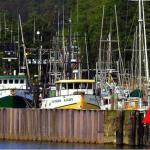 But as many local residents can attest, it is remarkably difficult to find verifiable local seafood for sale on the Mendocino Coast. Kelvin and Liz soon found that they would need to dig deep into conversations with local distributors and suppliers in order to be true to their commitments. The restaurant’s menu is inspired by this local catch – preferably from nearby Mendocino and always from the West Coast. 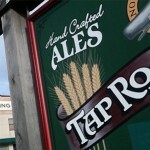 It changes with seasonality and availability. On one mid-summer day, guests might choose from crispy skinned King Salmon with roasted fingerling potatoes and rainbow chard – or Whole Fish of chilipepper rock cod, spiced and roasted on a cedar plank with baby carrots and rainbow chard. Over the years, they have developed relationships with fishermen and allies that understand their dedication to sustainable sourcing. 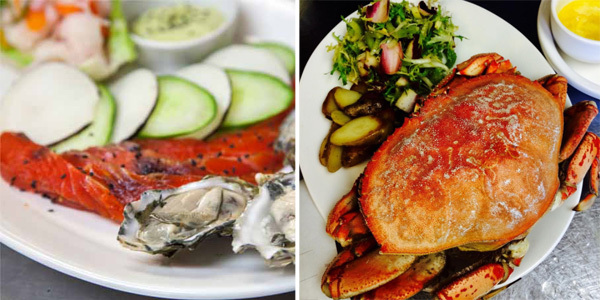 Today, one of their go-to suppliers is Noyo Fish Company, owned by Scott Hockett in Noyo Harbor, which shares a passionate commitment to locally sourced seafood. Up to three times each week, Scott’s company delivers fresh seafood – often live fish – to the kitchen at Wild Fish. “Scott is just as crazy as we are! He’s just a champion. He doesn’t bat an eye,” Liz said. These days, Wild Fish is well settled in its location on the headlands of Little River, and the team continues to work at connecting within the local food community. Looking ahead, Kelvin and Liz hope to expand beyond their current space – for the ability to serve more guests in the dining room and expand their menu in the kitchen. All the while, they remain committed to the local landscape and the people who make this work possible. To learn more about Wild Fish, visit their website – or say hello in Little River! To follow the “Local Food Heroes” series, subscribe to our FBGA newsletter.